The song features on The Book Of Souls, ‘Maiden’s most recent album and the band’s first studio double LP. The video opens with a look at Ed Force One, the band’s customised Boeing 747 jet piloted by Iron Maiden frontman Bruce Dickinson, before interspersing concert footage from their current world tour which began in February. 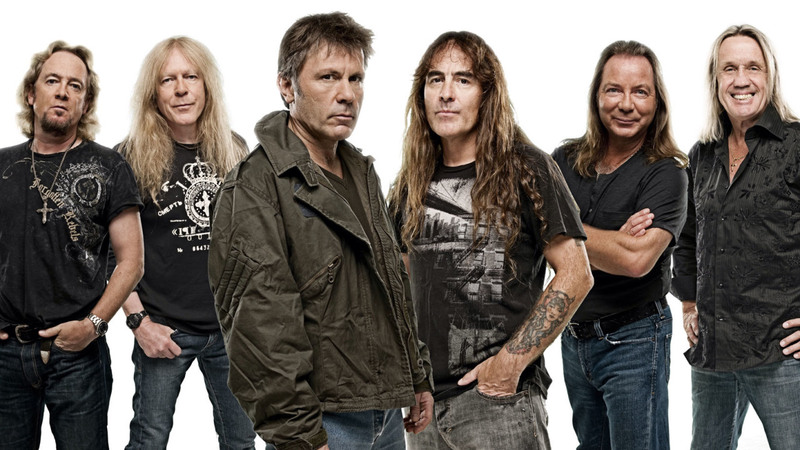 Iron Maiden are set to close next weekend’s Download festival with a headline slot on Sunday the 12th of June. It’s ‘Maiden’s only confirmed UK appearance in 2016. Says Dickinson: “Download is a very special place for us. Not just because it’s always great to play on home turf but because there’s a truly unique vibe there, it’s the very heart of England and of metal, so a fitting place for Iron Maiden. “The crowd is always fiercely passionate and the whole band feeds off that famous Donington energy. We aim to deliver a really memorable show for our fans to close the 2016 Festival.